Make Easter celebrations even more fun with these printable bunny ears. Attach them to a headband so kids can wear them all day long. 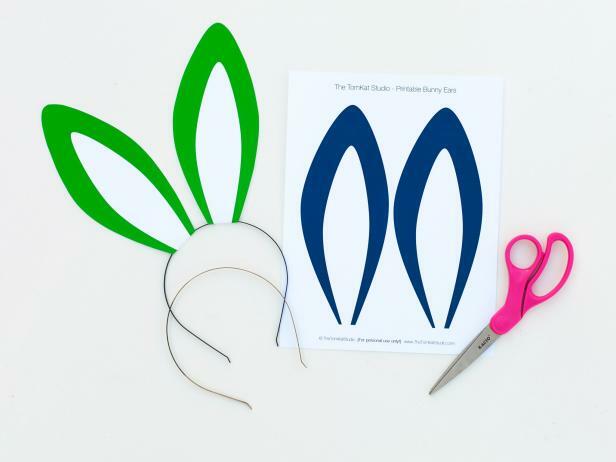 Print and cut out bunny ears. Fold bottom of ears about one inch up the ear. Place double-sided tape on the bottom one-inch portion of the ear. Wrap around headband, and secure the bottom of the ear around headband. 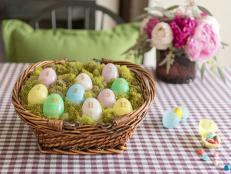 Give wooden eggs a colorful and totally on-trend Easter makeover using items you probably already have on-hand. You can keep the artsy fun all to yourself or get an assist from the kiddos. Best of all: These handcrafted cuties can be displayed year after year. 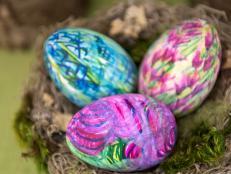 Give wooden eggs a fuss-free marbleized effect with inexpensive items you likely already have on hand. 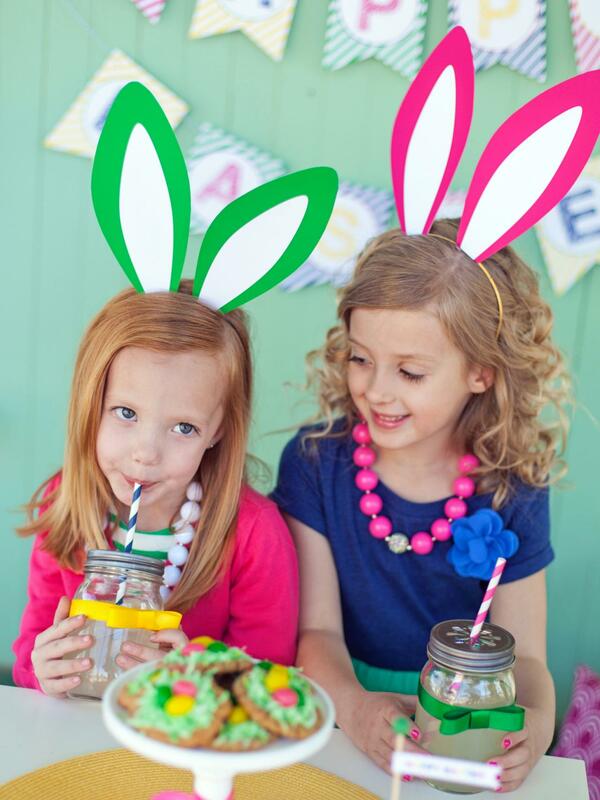 Put those plastic eggs and basket to use in the 12 days leading up to the Easter Bunny’s arrival with this easy project that’ll help kids count down to Easter morning. 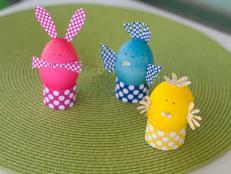 Turn dyed Easter eggs into adorable bunnies, chicks and sheep with colorful, polka-dot printables. 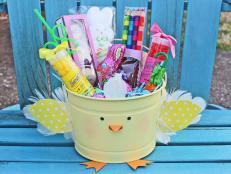 Just a few inexpensive craft supplies are all you need to turn a basic bucket into an adorable alternative to a traditional Easter basket. 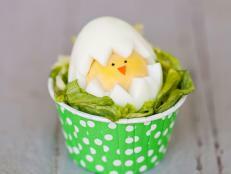 Turn a basic hard-boiled egg into an adorable hatching chick with a few simple materials. Kids will love this sweet addition to the holiday table. 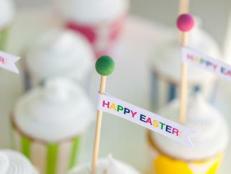 Decorate your sweets for Easter with these fun, festive and colorful toppers that can be made in a snap. Start collecting eggshells now by breaking off the tops and using the contents for baking. 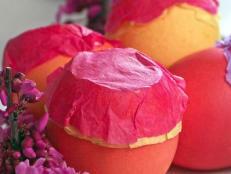 Rinse and dry the shells to make this fun and festive Easter craft. Fill them with confetti and crack them over your friends' heads for good luck. 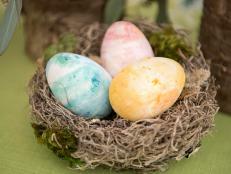 Skip the harsh synthetic chemicals, and celebrate Easter by naturally dyeing Easter eggs using tea, vinegar and a little patience. 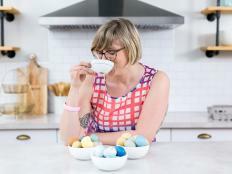 Bonus: Learn how to blow out an egg yolk, so your treasures can be kept for years to come. 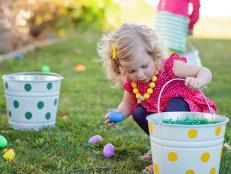 Dress up plain galvanized buckets with spray paint and polka dots to give your kids the most stylish Easter egg "baskets" at the hunt.